The American Chamber of Commerce in Russia is a business association dedicated to promoting the interests of its member companies. To this end, the Chamber has committed itself to working with the Russian government on key reform measures, such as the RF Tax Code, foreign direct investment regulation and customs legislation. Intensifying dialogue with U.S. decision-makers, AmCham has also broadened its policy reach by establishing permanent representation in Washington, D.C. Through AmCham’s effective advocacy and high credibility, member companies are assured of having their concerns heard by decision-makers in both Washington and Moscow. At the core of AmCham's activities is the recognition that the Chamber owes member companies a return on their membership fee investments. AmCham relentlessly applies its resources to overcoming obstacles hindering normal business practices. Tens of millions of dollars in member company revenues placed at serious risk by the imperfect business and regulatory environment in Russia have been returned to bottom lines by AmCham's straightforward, business-like intercession. This approach is known as AmCham’s ROI business model. 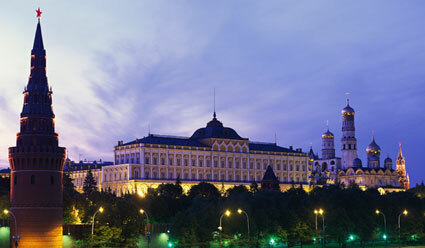 Since 1994, AmCham has grown over 600 percent, and now includes over 600 member companies in Russia.